Welcome Alumni Band Members to the Red and Black Brigade! 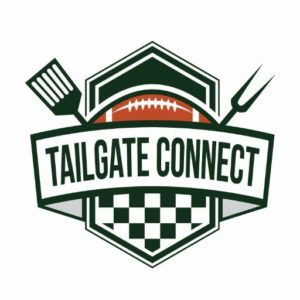 We’re so excited to partner with you this season to tailgate pregames at the grid. Our goal is to make you feel welcomed and at home. In order to do that, here’s a little bit about us and how to join us on the grid this year! What makes us unique on gameday is our 6 foot long Mobile B.A.R. (Bearcat Alcohol Reservoir) named Spirit Of Santa after Santa Ono. We keep it stocked with donated liquor our friends and family bring to share with everyone! We also have a french fry slicer and deep fryer and make fresh fried french fries for everyone (or whoever gets them first, we made 10 lbs of fries last year and we ate them all!). We have tents, chairs, games, speakers, TV, and tables. For the colder games, we have a propane heater too so everyone is comfortable. New this year is a cargo van we purchased to help cart all of our gear to/from school. It had a broken chairlift we fixed up to help us load/unload our bar (it’s pretty heavy). For food we usually make cheeseburgers and hot dogs along with french fries. Usually people bring sharable sides to the party, feel free to bring anything you’d like! Sometimes we make Skyline Coney’s, and sometimes Madison is really cool and makes a giant Taco Buffet bar. We have a large flat top grill, and if the game is early enough we’ll make pancakes. We also will have a keg of bud/miller light. This information will be available for each game under the Tailgates tab on our website. We don’t charge anyone to tailgate with us. There is no membership/ticket/door fee. We survive off of the generosity of others on game day. Usually people will bring $5-$20 and place it into our donation box, or bring liquor to restock our bar. We take donations here on our website too through PayPal. You don’t need an account, and the money goes straight to our PayPal. We don’t want to discourage anyone from having a good time with us, anyone is welcome! New this year will be registering for each tailgate so we know how much food to buy. The RSVP form will be located on the event page for that tailgate. 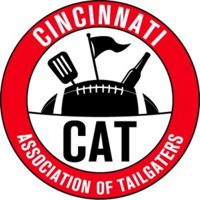 We ask that everyone RSVP to give us a general idea of how many Bearcat Fans we’ll be hosting. 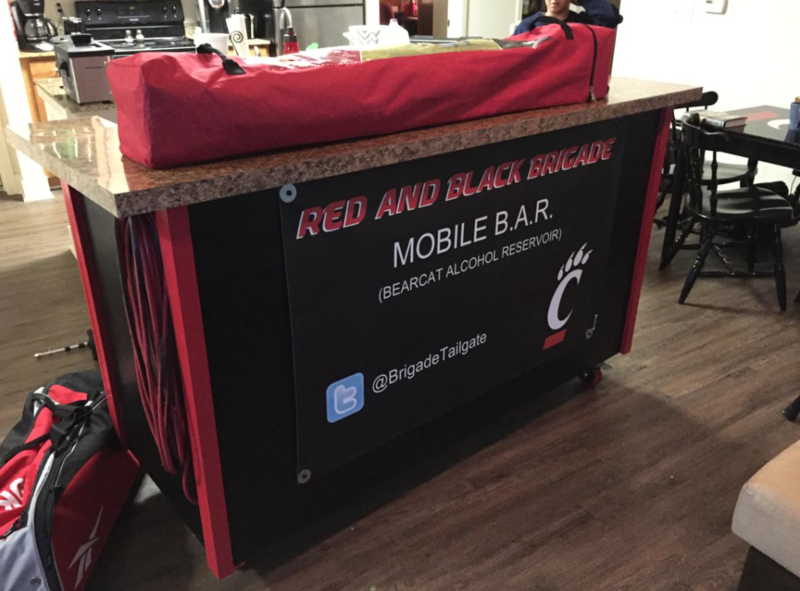 If you have any questions feel free to ask on Twitter @BrigadeTailgate or email us at contactus@redandblackbrigade.com. You can find a map to us on our about page, and we look forward to seeing you all on the grid!